​​On the 21st March the C&P team proudly sported odd socks in support of the #LotsOfSocks campaign for International World Down’s Syndrome Day. Down’s syndrome, also known as Down syndrome or trisomy 21, is a genetic condition that can cause varying levels of learning disability and other physical characteristics. Although there's no ‘cure’ for Down's syndrome, there's lots of support available to help children with the condition lead healthy, fulfilling lives. 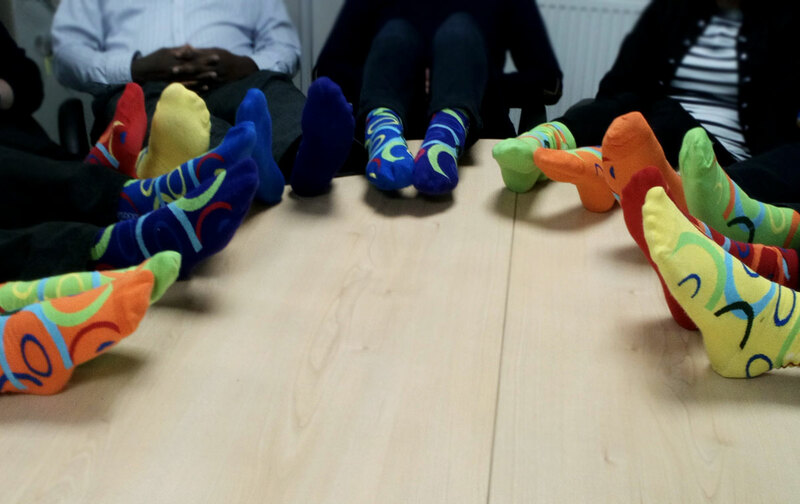 "We were contacted by a member of staff from one of our good clients, Morgan Sindall, to ask if we would support him this World Down Syndrome day by purchasing pairs of non-matching socks and wearing them on the day to show our support. The gentleman has a Down’s syndrome child and this is just one of the ways in which he tries to raise the profile of this condition and raise funds to go towards helping people and families that this condition effects." People could get involved with the day by wearing the official socks, sported by our brilliant team, or simply popping on any odd pair the fancy and donating to this incredibly worthy cause. All money raised went to the Down’s Syndrome Association, a brilliant organisation who’ve been working hard for 45 years to improve knowledge and understanding about people with Down’s syndrome, provide information and support for people with Down’s syndrome and champion the rights of people with Down’s syndrome to help ensure they have the support opportunities they need to live lives of their own choosing. We were delighted to get involved, be part of the day and support the DSA’s wonderful work. Here’s to next year!